Military Resume Writing Home of the Make a Free Printable Resume! 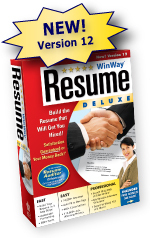 As the Chief Writer for eResumes4Vips, my mission is to help you to craft your military-resume-writing task. Also, as a former Non Commissioned Officer, I had to actually write (and re-write) my own army resume, for military to civilian job search. Objective: Explosive Ordinance Disposal (EOD), Counter-terrorism consultant technician (contractual) position with the ABC Group. Preferred work area, International, with a specificity toward Middle East, Indonesia, and (former) Soviet-bloc Republics. Profile: EOD and Weapons expert with 10 years of military combat arms experience. Hostile environment operational deployments to Kosovo-Serbia, Iraq, Afghanistan, Kurdistan, Turkey, Somalia, and South America (classified), as well as numerous Top-Secret locales. High expertise with laying primacord between rows of charged blast holes and tied cord into main line to form blast pattern. Wrote, designed and produced the (first) field manual (unclassified) of the Iranian-made “Humvee Buster” IED. Expert Marksman, M-16, 9mm, and M-203 grenade launcher. Earned German Army Schutzenmeister marksmanship badge. --A Military-Resume-Writing Sample--a free functional resume publication of eResumes4Vips for the expressed personal use of this website reader visitors. Any other usage must be approved by the author. The above military resume writing example is fictitious. The template and format are for example purposes only. Go to Military Resume Cover Letter Page Cover Letter Samples are actually More Important than your resume. Good cover + Good resume = Interview.